What have you accomplished in the past five years? Maybe you got a new job, started a few relationships, perhaps you began to start on your vast collection of the Nickelback discography on wax. 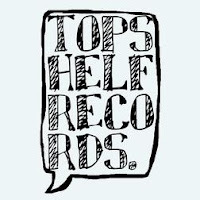 Whether or not you've delved into the most arduous tasks in the past five years is irrelevant however, as it's doubtful that you've been as hard at work as Topshelf records has been since their inception. I've always found it difficult to maintain an affinity for any specific record label due to the shady business motivations and money-grubbing actions of labels attempting to stay afloat; it's difficult to see the good business reasoning behind your favorite bands dropped from labels just because their release didn't meet its quota. So thank the sweet record label Lord in the sky for Topshelf Records' dedication and love for bringing us some of the best releases in recent years. More than having just a solid work ethic, Topshelf Records and I share a love for excellent bands, vinyl, and collaboration between their artists via split EPs. They've recently repressed the The Saddest Landscape/Pianos Become The Teeth and We Were Skeletons/The Saddest Landscape split EPs as well as offered pre-orders for the upcoming EP from You, Me, And Everyone We Know. If that isn't enough to convince you of their love of diverse, hard working bands, maybe their list of artists will convince you. With releases ranging from bands like Empire! Empire! (I Was A Lonely Estate), Pianos Become The Teeth, to Into It. Over It., the family of Topshelf Records is one worth taking note of. If you're interested in hearing for yourself, you can do a little social networking for them here, to get a free bundle of their earlier releases.